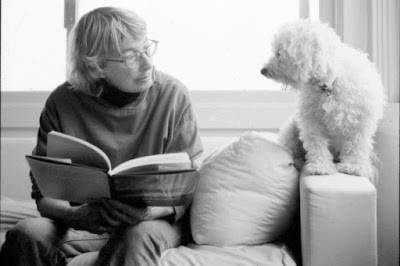 I've written about Mary Oliver's poems at this blog before, including a post each during my 2011 and 2013 NPM celebrations ... but in discussing some poems by her with someone I know who is also interested in poetry, I ended up writing a long-ish email about Oliver's poetry and so thought I might as well post it here also. For a few years (2008-2010), I thought she was the best poet ever...because her sensibilities of nurturing nature and celebrating all things natural seemed to vibe so well with my own sensibilities. I have read every single book of hers from the last 7-8 years (since 2006's Thirst) and she has been prolific - publishing a book every 12-18 months, it seems, in the past decade. D. S. Martin says it better than anything I can say in this review of her 2009 book, Evidence. ​Mary Oliver’s poetry is a place in which to dwell—a field, a river, a shoreline that wraps its arms around wild things, and preserves precious moments that appear as the seasons shift. It is about attention and patience, just as love is about attention and patience and about quietly stepping away from our own four walls. It is about memory, and reflecting upon what can only be experienced when we respectfully wait for birds and other creatures to take their turns watching us. It is about praise, thanksgiving, and astonishment. It is, surprisingly, not about the poet—other than that she is the one who has experienced what she is showing us. The poet wants to influence us in the way we view the world. In the title poem she says, “all beautiful things, inherently ...excite the viewer toward sublime thought.” This is the “Evidence” she is speaking of. She expects us to be awestruck: “if you have not been enchanted by / this adventure—your life—what would do for / you?” she asks. Since Mary Oliver’s poetry is filled with observations of creation, with praise and questions, it is an ideal place to dwell—to meditate—and to consider what our lives should be. I could not be a poet without the natural world. Someone else could. But not me. For me the door to the woods is the door to the temple. Under the trees, along the pale slopes of sand, I walk in an ascendant relationship to rapture, and with the woods I celebrate the rapture. I see, and dote upon the manifest....... I am forever just going out for a walk and tripping over the root, or the petal, of some trivia, then seeing it as if in a second sight, as emblematic. By no means is this a unique way to live but is rather, the path found by all who are mystically inclined. - Mary Oliver, in Winter Hours. ​If you read a lot of her poems, you will realize that she seeks (and is in) a kind of rapture when she enjoys the joys of nature - almost a kind of intimacy and sensuous pleasure for her in getting one with nature! That is when you understand a poem like "Tom Dancers Gift of a Whitebark Pine Cone" that made me go "eeek" when I first read it. But read enough of her poetry and you realize that she is in a sort of rapture enjoying a sense of one-ness with the natural world around her. It is not just that she connects us to the beauties of the natural world but she tries to get us to pay attention and see the beauty in every minute detail - even the stuff we would normally just not see or think about. "You have to be alert for it", like she says in her interview with NPR here. There typically isn't too much symbolism or word-play in her poems -- just a direct narration of what is in front of all our eyes but sometimes we do not see or appreciate. And in addition to awe and wonder and reveling in this natural beauty, she asks us to express gratitude for it. There is no doubt a sense of reverence and spirituality for her in it. Here's another about a simple act of drinking water from a brook - something I'd never think of celebrating in a poem like she has! How lovely the thought behind the poem is though... she senses something magical just happened - as if she is now one with that ancient pond and its flowing water! Here she is...celebrating something as simple as leaves. She possibly actually does stuff like this -- not just something she made up for writing a poem! write down the numbers in a little book. "Full of earth-praise".... that's what her poems are about! And she finds that no matter how many poems she writes, she cannot still praise it enough. There is always 'room for the world' outside of her poems because the world is so amazing and vast and can be continued to be enjoyed with every breath we take! Have I conquered loneliness with grace? she asks in one of her poems, The Gardener. So, if nothing else, I think her poems at the very least help us tune our busy lives to the many amazing things around us that we do not pay attention to and enjoy, thanks to our busy 21st century lives. Her celebration of all things natural is best articulated through her very words -- "the perfect, stone-hard beauty of everything", which is from a poem that I have blogged about before here. 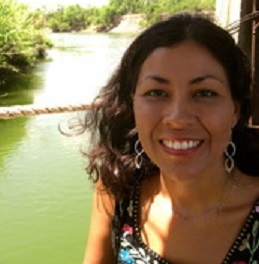 ​She is, indeed, like others have written, our modern-day Thoreau! That said, the joie-de-vivre of her poems may sometimes sound too simple or trite..almost verging on sentimentality and on the rare occasion some feel like nothing more than a random thought she had -- a good thought but not a poem! I've sensed this especially in her last couple books of poems . I wonder that as she nears 80, her publisher has been goading her to publish more often and so there's a book out every 12-18 months almost? Or maybe she herself feels time is running out and so needs to get out all her thoughts on how amazing this world is.... live every second to the fullest (and as a writer, record it in poems too.) But as a reader, this kind of prolific publishing, especially in poetry, automatically means that not everything that should have been edited and discarded has been. Hence, quality suffers. For example, this poem from her 2012 book of poems, A Thousand Mornings, which to me almost reads like something from a feel-good greeting card or one of those photoshopped jpgs people share on Facebook! But overall, she is a delight to read for anyone that treasures the #AmazingWorld* and I hope there is still more books of poetry to come in the years ahead. Mary Oliver, like some of the other great American poets alive today (Merwin, Strand, Ashbery, Donald Hall) is also 75+ years old and I will rue the day when she (or any of the aforementioned poets) will pass on. There was some news last year on the Poetry Foundation website that she cancelled some poetry engagement due to a health issue and I feared the worst. I have not seen any news about her since then...am hoping she is recovering slowly.